When I work on a custom design I sometimes get asked to reference a specific location. That location is always dear to the couple, having played some significant part in their love story. Perhaps it's where they met or grew up, or even where he proposed. I always try to depict those iconic scenes for them in a way that even if it's not a photographic replica, will strike the same sweet chord of memory. 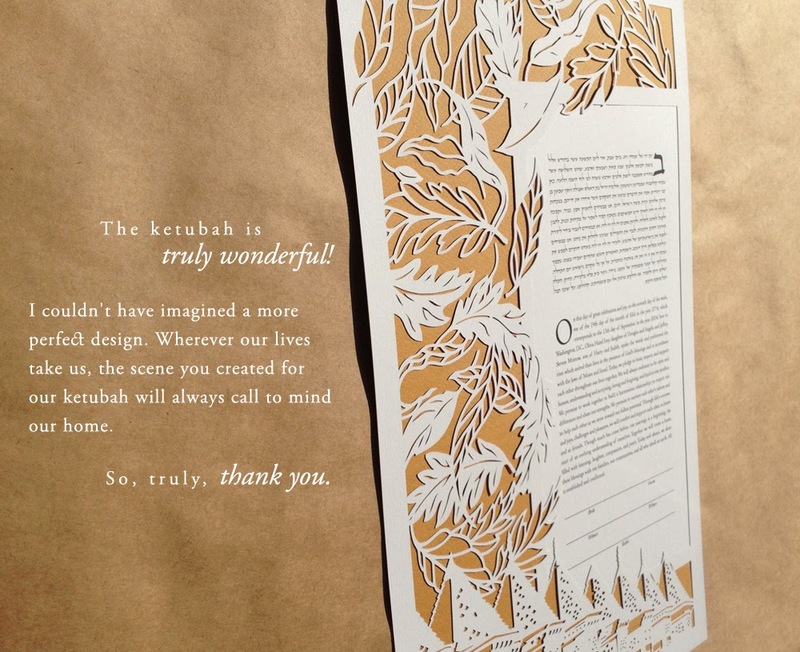 Such is the case with Jeff & Olivia's ketubah, who wanted a ketubah to represent home. 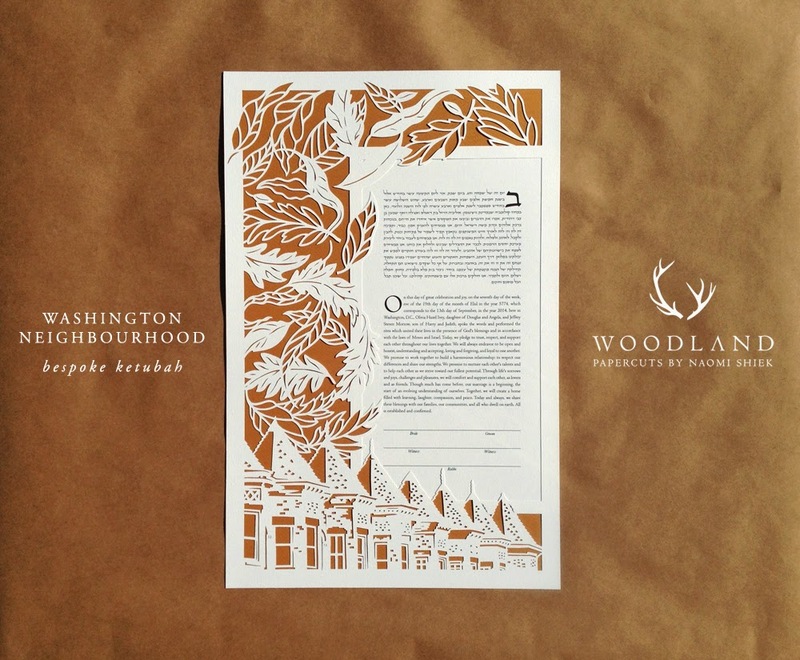 Jeff & Olivia wanted a nature-centered ketubah but admitted they were city-dwellers at heart and didn't like floral designs. 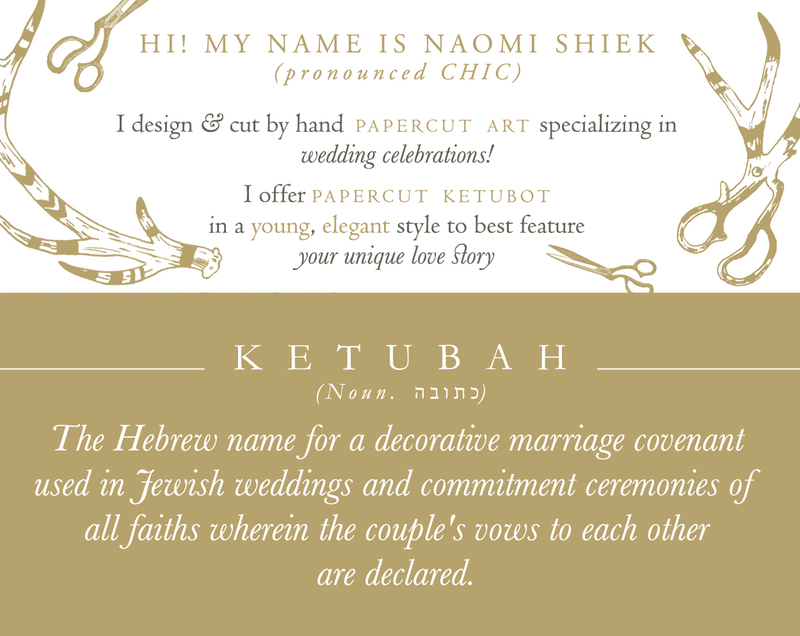 Once they showed me photos from their neighborhood and asked to feature it somehow in their ketubah it was impossible to refuse - the houses are so pretty! Thus, I overcame my long-time nemesis: architecture. 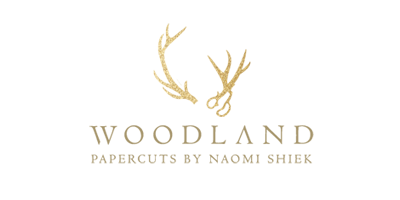 If you too are interested in a custom papercut order, please go to the FAQ PAGE to find answers to your questions & client files.